We take a look at what foods to try and what to steer clear off when battling with some of the symptoms of a cold. Sitting in a quiet, crowded room and suppressing the urge to cough without much success is a scenario that many of us have experienced at least once in our lives. Coughs can be frustrating and debilitating – particularly if you’re unable to control the onset of your symptoms. It’s normal to need to cough if something irritates your throat, if your throat is dry or if you feel the need to clear your throat before speaking. Coughing is your body’s response to an irritant and could be caused by something as simple as some food caught in your airways. But when coughs persist for a week or longer, there’s a good chance that there’s an underlying medical cause such as a cold or flu. Coughs are often caused by respiratory tract infections, but they can also be brought about by diseases and illnesses such as gastroesophageal reflux disease (GERD), chronic bronchitis, certain medications and other chronic diseases. The type of cough you have depends on the underlying cause. Coughs can be acute (lasting up to 3 weeks) or chronic (persisting over 8 weeks). They can be dry or productive (bringing up mucous), and they can be nocturnal – meaning they only occur at night. 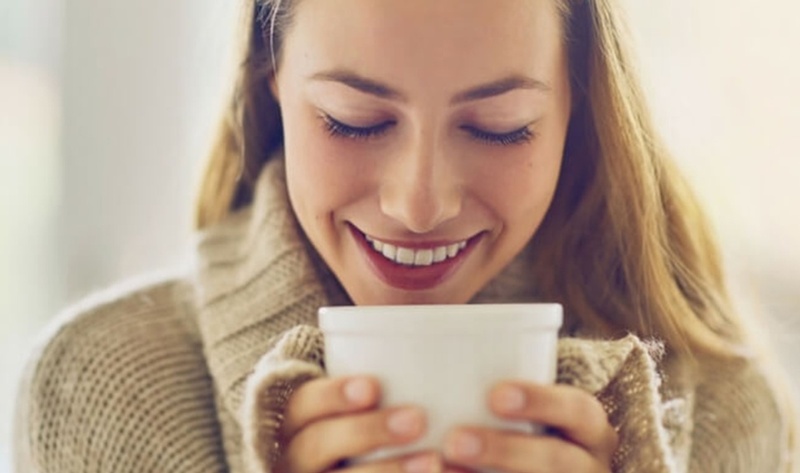 Can your diet help alleviate your cold symptoms? A healthy diet in general will help you to recover from coughs and colds because you’ll be fuelling your body with the nutrients it needs to perform at its best. Honey – honey is a traditional remedy for coughs, and in one study parents rated honey most favourably for symptomatic relief of their child's nocturnal cough. This is more suitable for older children. Probiotics –there may be some benefits in taking Lactobacillus to reduce the likelihood of a cold or flu. Pineapple – bromelain, a mixture of enzymes naturally found in pineapples, may help suppress coughs and loosen mucus. Chicken soup – some studies have suggested that this old-time remedy may actually be able to assist with, colds – one study suggested this could even help with mucus congestion in the nasal passages. Liquorice root tea - as well as being a soothing drink that can help you to relax when you’re feeling blocked up and poorly, liquorice is a traditional treatment for cough and sore throat and is thought to soothe airways and thin mucus. Do certain foods agitate coughs and make symptoms worse? While eating healthily is important when it comes to fighting off infections, being aware of and avoiding any foods that are likely to exacerbate your cough symptoms is also a key consideration. Dairy products – the jury is still out on whether dairy products definitely worsen coughs and colds, but some research has supported this link. Food allergies – food allergies can cause coughs as well as other symptoms, so if you suspect you may have an allergic reaction to a food – that is, you’re noticing the same symptoms every time you eat it, then visit your healthcare professional. Ivy leaf cough remedy – to help ease congestion try a medicine like Prospan which contains an extract of ivy leaf known as Hedera helix EA 575. Clinical research shows that this ivy leaf extract helps thin, loosen, and breakdown mucus in the chest. This will also help to make your coughs less frequent and more effective. Most colds are mild and will improve after a few days, but if you’re suffering from a recurring cough, it’s important to see your healthcare professional to rule out an underlying medical cause and get a proper diagnosis.